The CDC’s (Centers for Disease Control and Prevention) Strategic National Stockpile (SNS) has stockpiled large quantities of medications and medical supplies to increase preparedness and protect residents during a public health emergency – terrorist attack, flu outbreak, hurricane, etc. How is the need for the SNS determined? Once state and local authorities agree that the SNS is needed, the Texas Governor would request SNS assets from the federal government. Supplies are strategically placed throughout the country for rapid deployment, and can be delivered to the Texas Department of State Health Services (DSHS) within 12 hours. These 12-hour “Push Packages” contain many different supplies and medicines so local responders can choose what they need based on almost any threat they may face. If the emergency requires additional medications and/or medical supplies, local authorities can order follow-on supplies specific to the emergency through the “Managed Inventory” portion of the SNS program, which can be delivered within 36 hours. Medications given at the PODs will be free. The SNS has enough medicines stockpiles to protect people in multiple large cities at the same time. Federal, state, and local planners are working to ensure that the SNS assets will be dispensed to everyone in an affected area. SNS assets will only be used in events severe enough to deplete local supplies. How will the public obtain SNS assets? POD (Point of Dispensing) sites will be established. Fort Bend County officials have plans for operating multiple PODs at the same time. Follow specific instructions provided by authorities: television, radio, newspapers, internet, and other media sources will be used to inform people when and where to go. PODs are temporary large-scale clinics designed to rapidly dispense pills or vaccines to healthy individuals or administer vaccines to healthy individuals. PODs are located in pre-identified facilities and may operate 24 hours a day for several days, depending on the emergency. 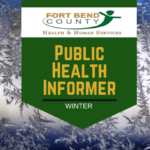 Open PODs, also known as Public PODs, are activated when the public health response system is unable to meet the needs of the emergency and may be operated using volunteers, such as the Fort Bend County Medical Reserve Corps and . In addition to providing pills or vaccines, volunteers would be assigned to help fill out forms, give people directions, keep track of supplies, provide computer network support, and support communications among other support functions. Once the notice of a need for medication is sent out, one person from each home (head of household) will need to come to a POD location to get medication for everyone. One person will be able to get medication for an entire family. If the head of household is getting medication for a child, the head of household should familiarize themselves with proper pill crushing techniques to give the child the proper dosage. The head of household should also be aware of the allergies of the other persons in the home. The head of household will fill out a short form once they enter the POD. They will then be given medication and instructions for the persons in their household. They will then exit the POD. The public is expected to be patient during the POD process. Although it doesn’t take long to receive medication, there will be lines. Please be courteous of others and follow the directions of the POD staff.